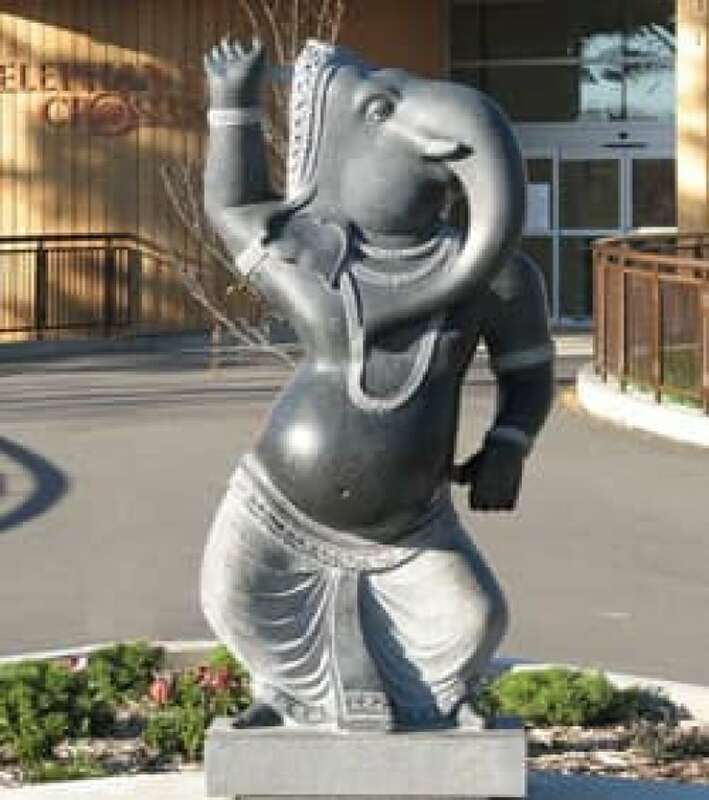 The Calgary Zoo said it has no plans to remove a dancing elephant statue after a complaint from a Christian group that it's an inappropriate religious icon. A private donor gave the statue, modeled after the Hindu god Ganesh, to the zoo in 2006 to stand in front of the Asian elephant exhibit. As CBC News first reported, Concerned Christians Canada sent a letter raising its concerns that the statue was "selective religious partiality" to the zoo on Thursday. "A lot of people are saying we're being intolerant. I don't consider asking that the zoo look at this from a balanced perspective being intolerant," said national chairman Jim Blake on Friday. Zoo officials said the three-metre-tall statue has no religious symbols and is meant to simply show the link between elephants and Asian culture. "Our desire in putting the statue here was to demonstrate to our visitors the connection between cultures and animals, much like the same way the bald eagle for example depicts the American culture, the lion Britain, the beaver Canada," explained Grahame Newton, the zoo's director of corporate services, on Friday. Newton said the zoo received a "handful" of complaints when the statue was first erected. "We tried to explain to them the tie-in with the culture and that it was not a religious symbol and that seemed to fade pretty quickly. We didn't hear much after that. We didn't hear anything after that until this most recent situation," Newton said. Blake, who lives in Calgary, said the zoo should be neutral on matters of religion because it's a non-profit group that receives public funding. "It's supposed to be about animals. 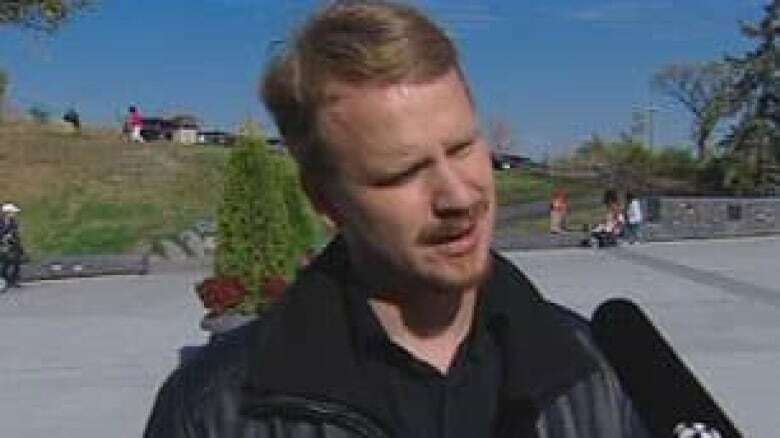 It's supposed to be about teaching people about their different habitats," Blake told CBC News on Friday. "But I don't believe that it's a place of religious worship, or a place of displaying religious icons. There's a place for that: temples and synagogues and churches and things like that. But the zoo is not a place of religious expression." Many visitors to the zoo on Friday stopped to pose for photos in front of the statue. "We like it. We think it's cute," said Angie Thomshaw, who was visiting with her children. "That's never even crossed our minds. And I'm Christian. We're a Christian family and it doesn't offend us." Tinu Ruparell, a professor of religious studies at the University of Calgary, called the complaint by Blake's organization "unfortunate." "To pick this one out and say this is of a foreign god is … to mistake or not to look at all the other architecture, the symbols, the stuff that we are so used to in Canada we've kind of forgotten where they come from — which is usually a religious place," he said. The zoo hosts carols and a light display at Christmas, as well as events at Easter. The elephant statue was donated by a woman who wanted to honour the memory of her late father, said Newton.